This is a cartooning lesson that is perfect for Christmas time, considering Christmas is about the birth of baby Jesus. You will learn how to draw baby Jesus in a manger's cradle, Virgin Mary, as well as Joseph. 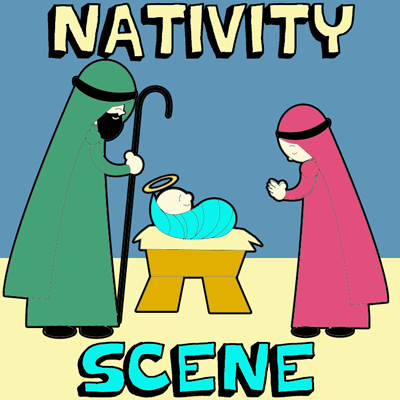 I will guide you step by step through the process of drawing this cartoon nativity scene. This is a cartooning lesson that is perfect for Christmas time. 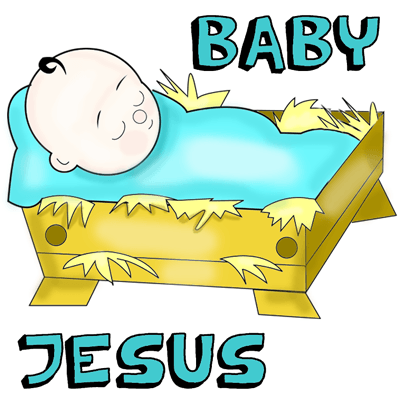 Learn how to draw baby Jesus in a manger's cradle. I will guide you step by step through the process of drawing this adorable baby boy.